Exit at the Boynton Beach Blvd exit of the Turnpike and proceed east to Hagen Ranch Road. Make a right turn onto Hagen Ranch Road and proceed to the next traffic signal at Venture Center Way. Make a left turn into our parking lot. Click graphic for larger map. 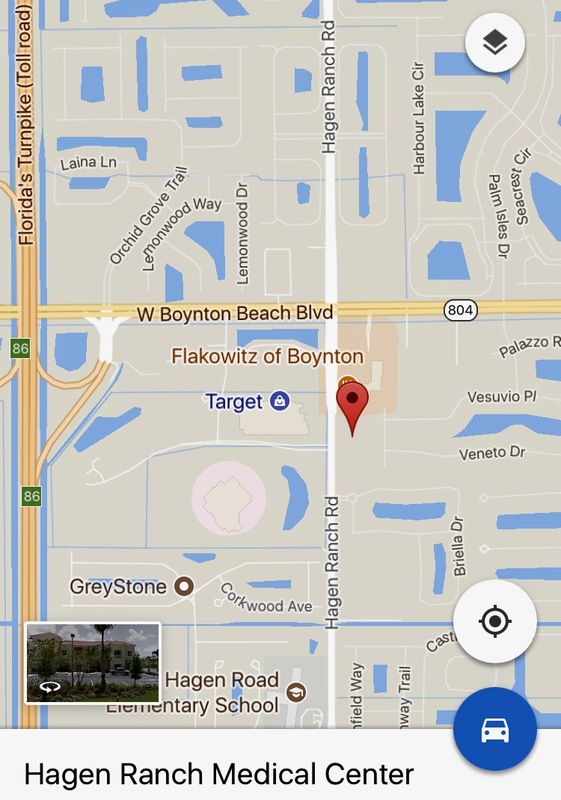 Exit at the Boynton Beach Blvd exit of I-95 and proceed west to Hagen Ranch Road (two street lights after Jog Road) . Make a left turn onto Hagen Ranch Road and proceed to the next traffic sugnal at Venture Center Way. Make a left turn into our parking lot.